Indra Jatra is one of the most popular festivals of Kathmandu valley. It honors the recently deceased and pays homage to Indra and Dagini for the coming harvests. The celebration takes place for eight days, which includes various classical dances, like, elephant dance and Lakhe dance – a very popular mask dances. On the final day, all three chariots of Kumari, Ganesh and Bhairab are pulled through the streets of Kathmandu. The spectators include Head of State and other dignitaries apart from huge mass of common people. 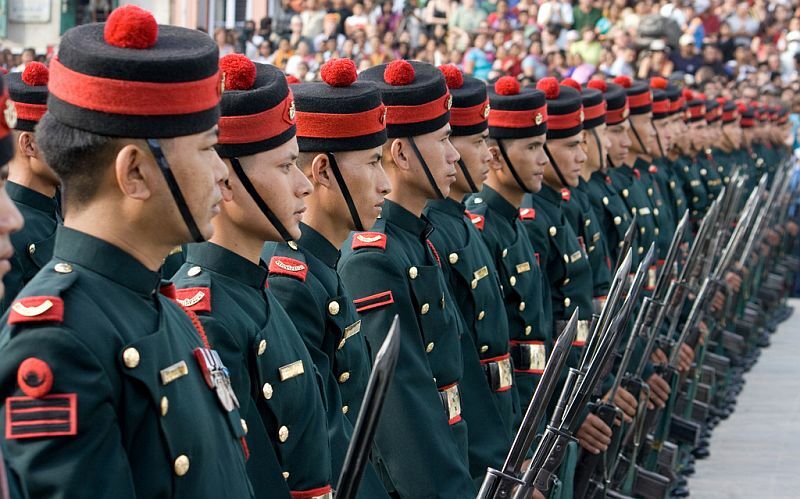 The soldiers parade marking the auspicious occasion as well as in honor of the dignitaries.